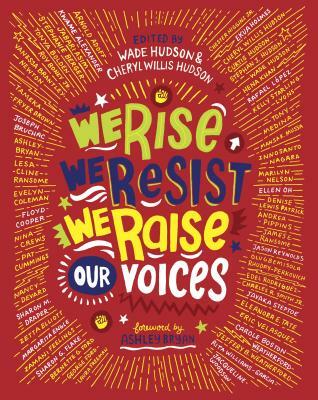 Fifty of the foremost diverse children's authors and illustrators--including Jason Reynolds, Jacqueline Woodson, and Kwame Alexander--share answers to the question, "In this divisive world, what shall we tell our children?" in this beautiful, full-color keepsake collection, published in partnership with Just Us Books. Featuring poems, letters, personal essays, art, and other works from such industry leaders as Jacqueline Woodson (Brown Girl Dreaming), Jason Reynolds (All American Boys), Kwame Alexander (The Crossover), Andrea Pippins (I Love My Hair), Sharon Draper (Out of My Mind), Rita Williams-Garcia (One Crazy Summer), Ellen Oh (cofounder of We Need Diverse Books), and artists Ekua Holmes, Rafael Lopez, James Ransome, Javaka Steptoe, and more, this anthology empowers the nation's youth to listen, learn, and build a better tomorrow. A Kirkus Reviews Best Book of 2018! A Publishers Weekly Best Book of 2018! Wade Hudson is president and CEO of Just Us Books, an independent publisher of books for children and young adults. For his work, Wade has received a New Jersey Stephen Crane Literary Award; the Ida B. Wells Institutional Leadership Award, presented by the Center for Black Literature; and the Madame C. J. Walker Legacy Award, given by the Zora Neale Hurston--Richard Wright Foundation. He has also been inducted into the International Literary Hall of Fame for Writers of African Descent. Discover more about Wade online at wadehudson-authorpublisher.com. Cheryl Willis Hudson is an author, editor, and cofounder and editorial director of Just Us Books, an independent company that focuses on Black-interest books for children and young adults. Cheryl has written over two dozen books for young children, is a member of the children's book committee of PEN America, and has served as a diversity consultant to a number of educational publishers. Learn more about Cheryl at her website cherylwhudson.weebly.com.